We have been away in lovely San Diego for a few days to visit with family. Now, it is time to get back to healthy eating! 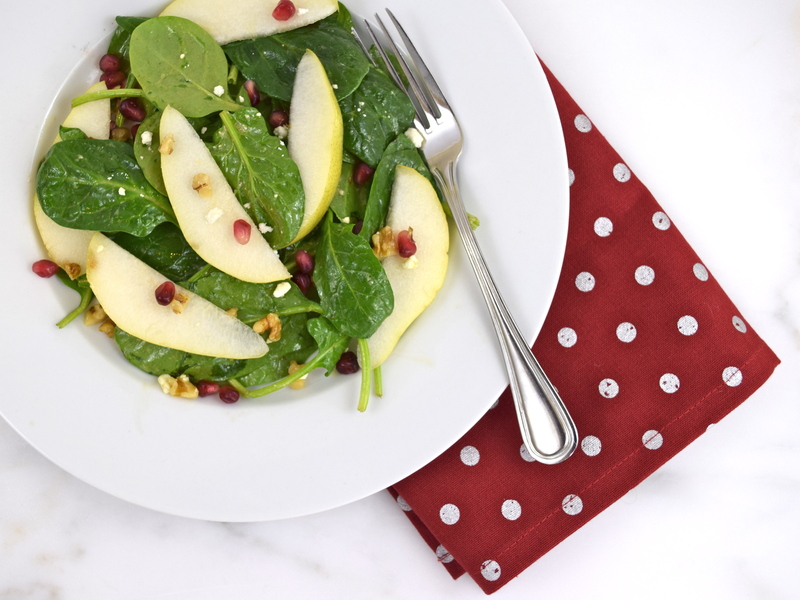 This deliciously nutritious salad, not only has spinach and pear, but walnuts and feta cheese. 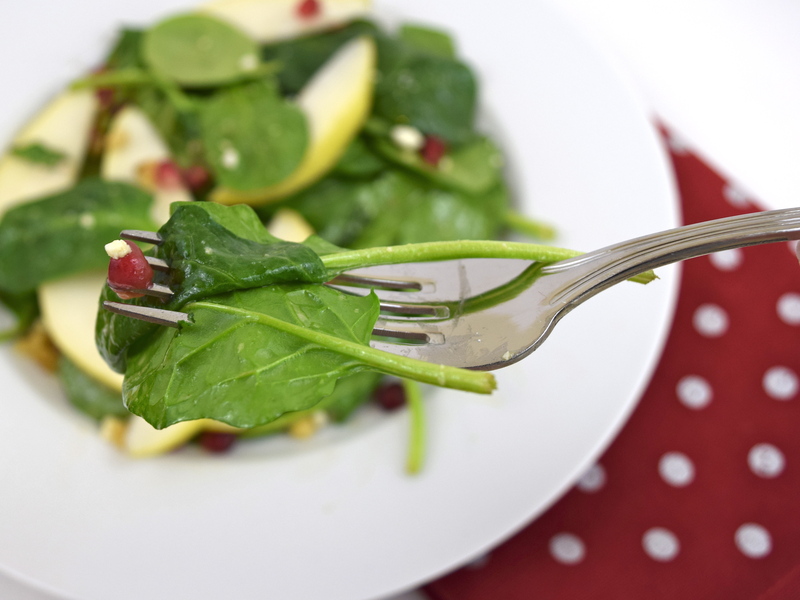 I adapted this salad from Williams Sonoma and substituted feta cheese for blue cheese and used Trader Joe’s Orange Muscat Champagne vinegar, instead of cider vinegar. I totally eliminated the honey, because the added sweetness wasn’t necessary, in my opinion. The pieces of feta add saltiness and the walnuts give you crunchiness, as well as some Omega 3s! 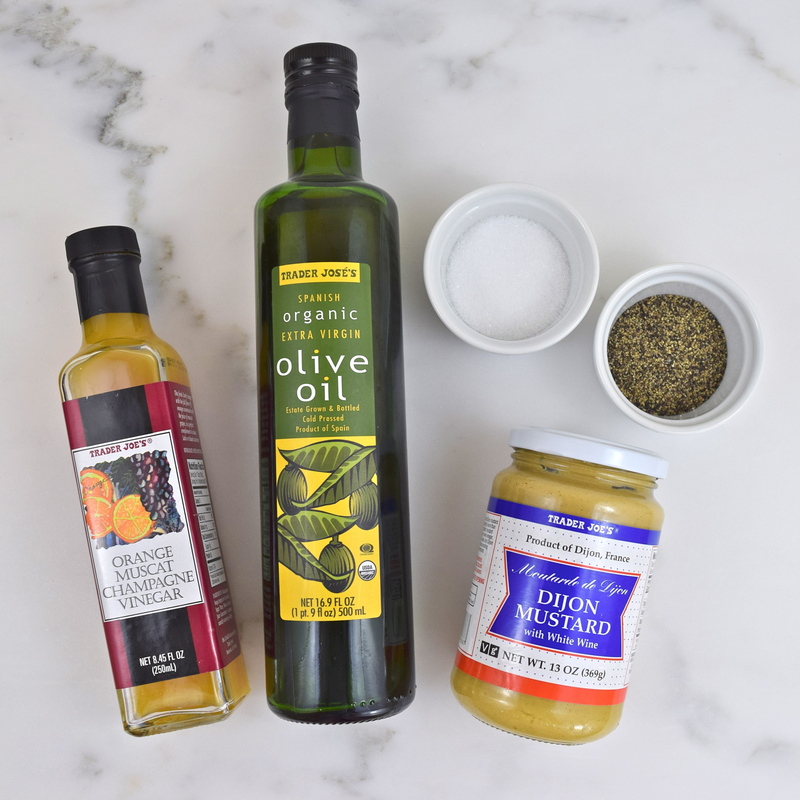 In a small bowl, whisk together vinegar, oil and mustard. Add salt and pepper to taste. Whisk thoroughly. 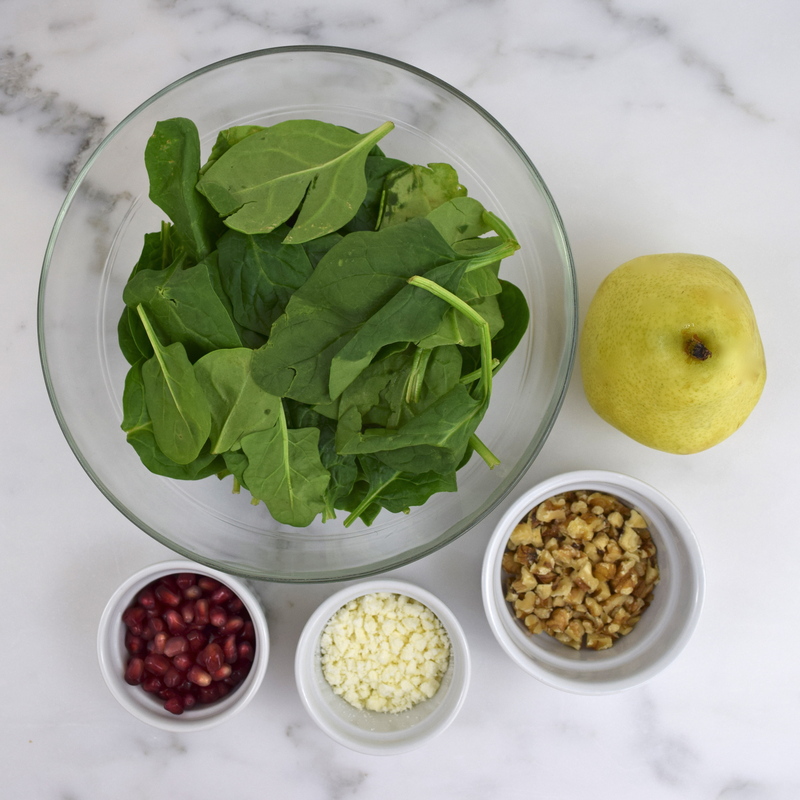 In a large bowl, add spinach, pears, pomegranate seeds and walnuts. Add salad dressing and gently toss. Using 4 plates or bowl, evenly divide the salad. 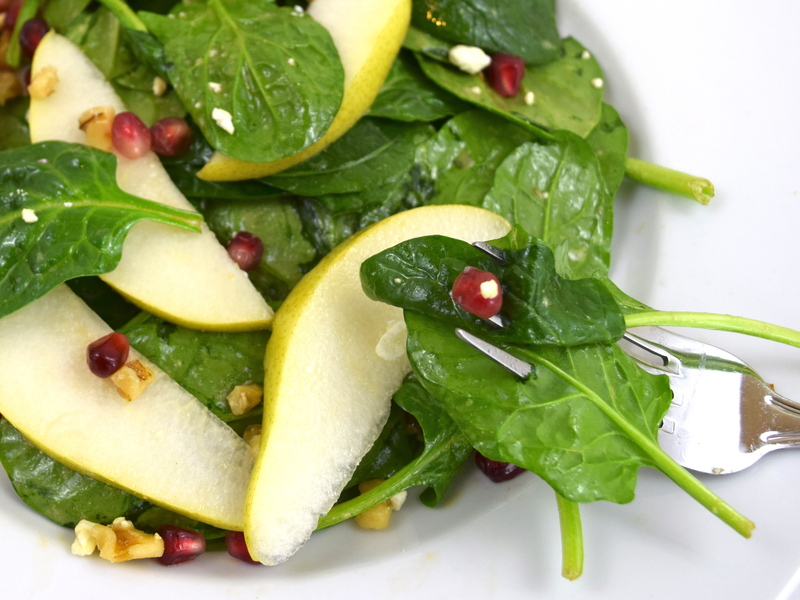 Sprinkle with each salad dish with 1 tablespoon feta cheese. Serve immediately. Thank you, Angie. I had some problems this time…sometimes it links-up easily…and sometimes not. Thank you! I really enjoy participating in Fiesta Friday. Thanks for sharing it with us at Fiesta Friday. Thank you! I enjoy participating in Fiesta Friday.